fCoder provides robust digital document and image processing applications to corporations, educational institutions, government agencies and individual consumers worldwide. The company designs and develops its software solutions within its three divisions – document imaging, image processing, and digital photo editing. 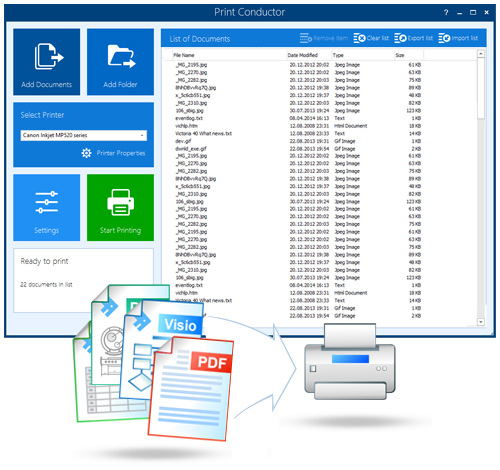 Print Conductor is a simple batch printing utility. If you regularly have to open and print a large number of files, this elegant tool can be a real timesaver. Once you tell it which files to print, Print Conductor automates the rest of the process. 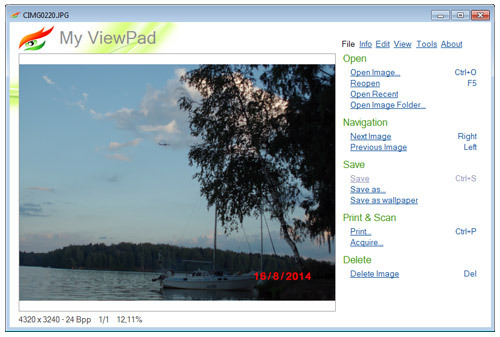 FolderMill - is a server-side application that automatically prints or converts PDF files, Word documents, Excel spreadsheets, and PowerPoint presentations to PDF, JPEG, TIFF, or other image formats. 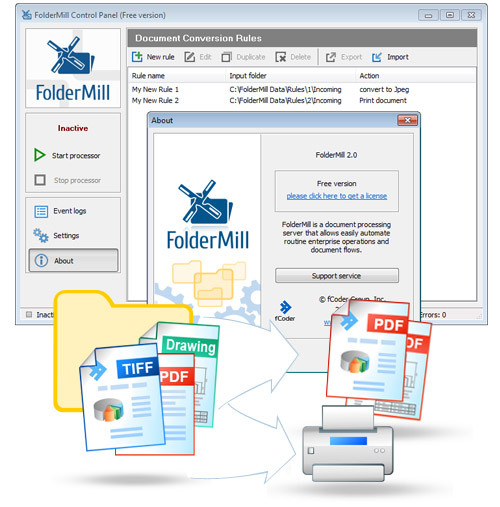 FolderMill provides an easy way of automating routine document processing tasks and establishing document flow in an enterprise environment. 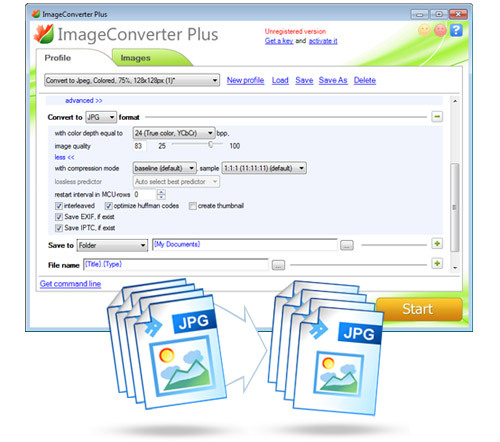 Image Converter Plus is a professional converter for graphic files, photos, drafts, finance documents and other images of any type. Up-to-date technology makes it possible to create a powerful award winning converter ideal for image processing tasks. 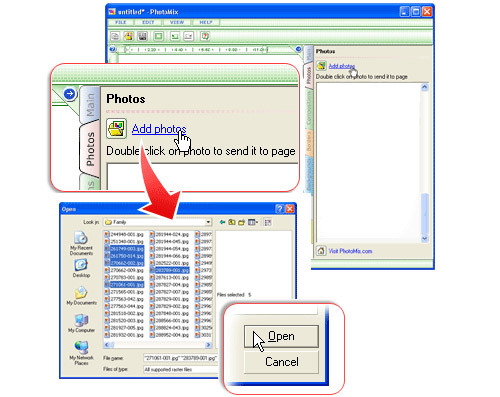 2TIFF is the image conversion software designed for IT professionals, workflow system integrators, corporate and independent software developers. 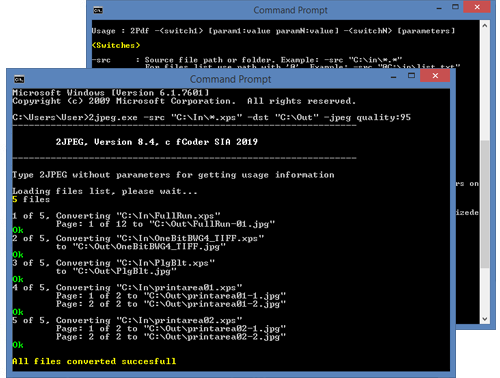 2PDF is a command line tool for automated conversion of documents, images and other filetypes to PDF. 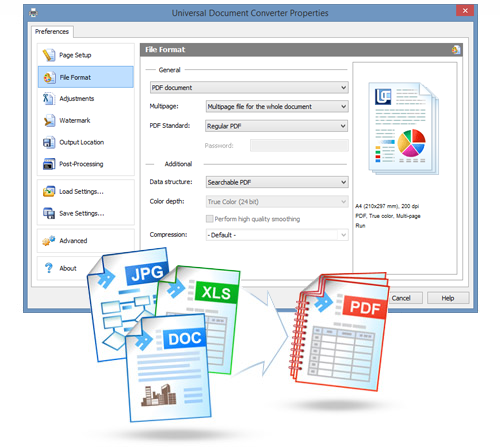 It is an advanced PDF converter with a variety of settings. Developers and system administrators can use it to turn time-consuming tasks into a few lines of a command prompt. 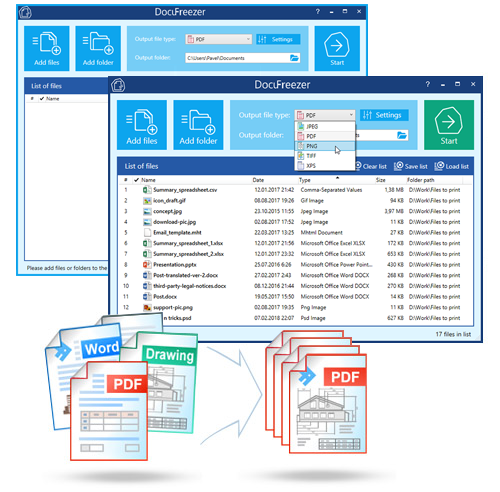 Users of DocuFreezer will benefit from numerous conversion options – the software will convert documents and PDF files to PDF, JPG, TIFF or PNG formats "freezing" the look of the original documents and protecting them from any amendments. My ViewPad is obviously the highest quality free image viewer of raster and vector graphics files ever made for Windows operating systems. It is based on the original graphics engine developed by the company. The graphics engine has constantly been improved ever since. It has become a powerful and multifunctional tool capable of fulfilling any computer graphics tasks.